Hi guys! After recently realising how much I love the John Frieda 3 day straight, I thought id look through all my hair products to see what my most live and used were and I managed to narrow it down to 5 products yes 5!! I also love the advance techniques Moroccan argan oil from Avon more affordable than the orofluido however I only use this when my hair wet as it's too heavy for dry hair. 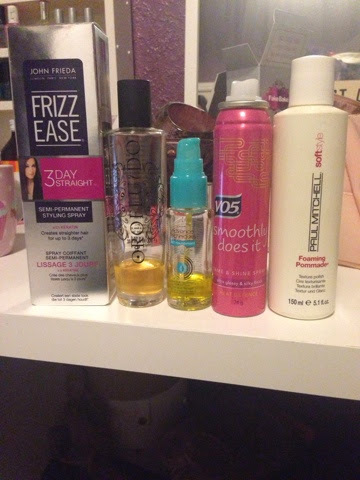 So they are all of my holy grail hair products, what are some of yours?